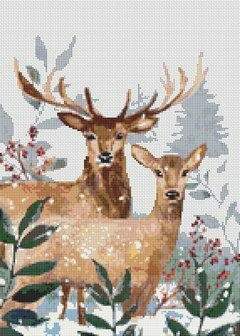 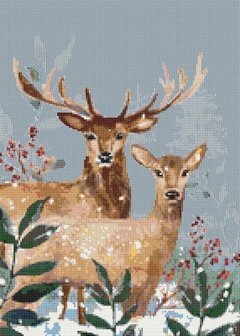 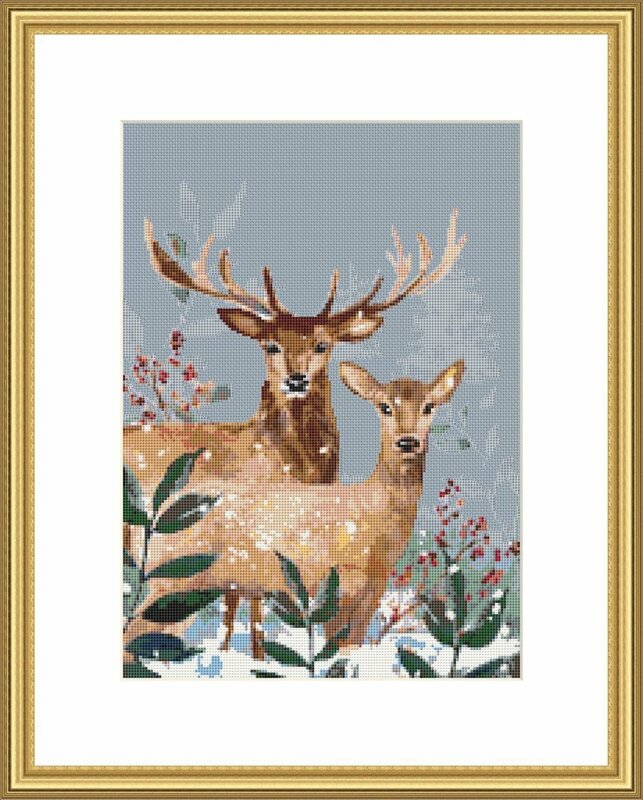 Counted cross stitch pattern of 2 deer in winter. 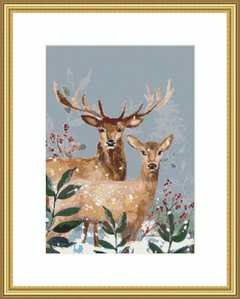 Great for Christmas or all winter long. 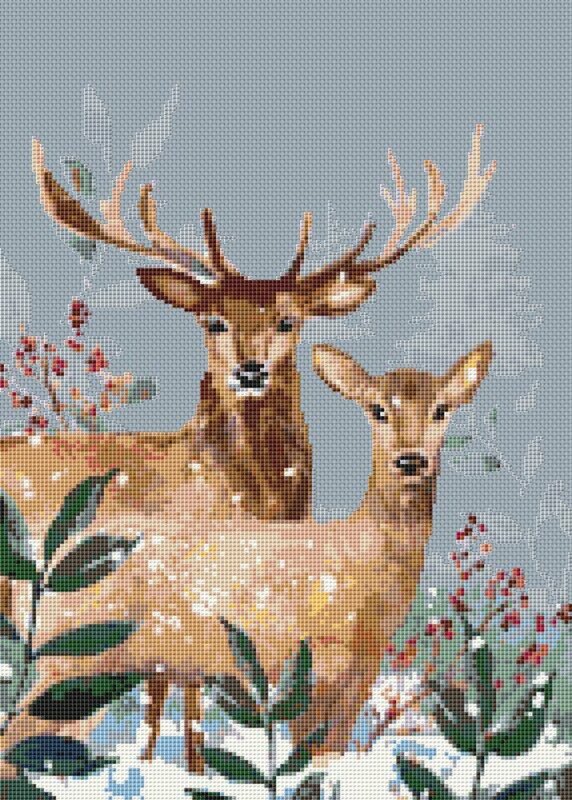 Design area for 14 count: 10.21" x 12.79"
Fabric: 14 count, best worked on a light color fabric. I have shown it here on a gray.